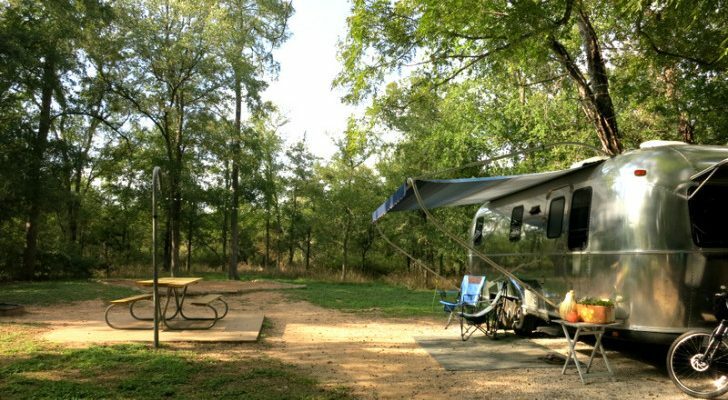 A few months ago, Ross Lukeman left his apartment and his full-time job in Houston to live and work out of a converted Chevy cargo van. 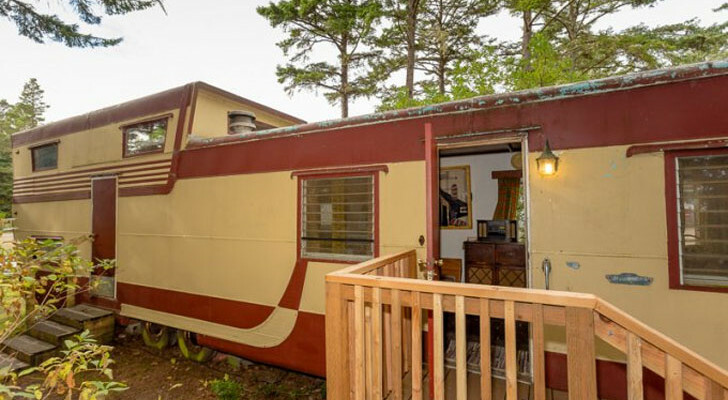 He found the process so rewarding he now wants to teach other travelers how to convert a van into a tiny home-on-wheels. 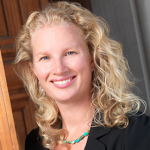 Lukeman is a former architect and runs the website, Alternative Homes Today. 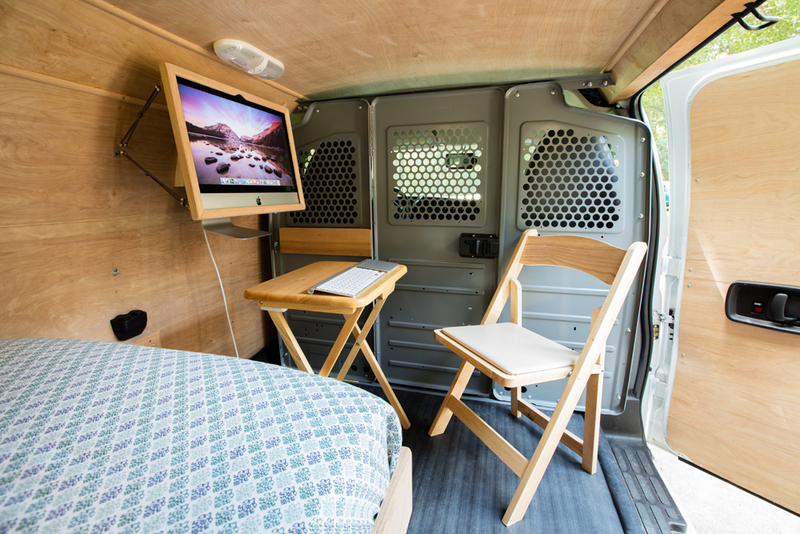 He now works for himself and has created the Cargo Van Conversion Course, an online set of high definition videos that will teach you step-by-step how to convert a van into a full-time living space. The graceful living space includes a sink, hidden cooktop, and a storage cabinet. 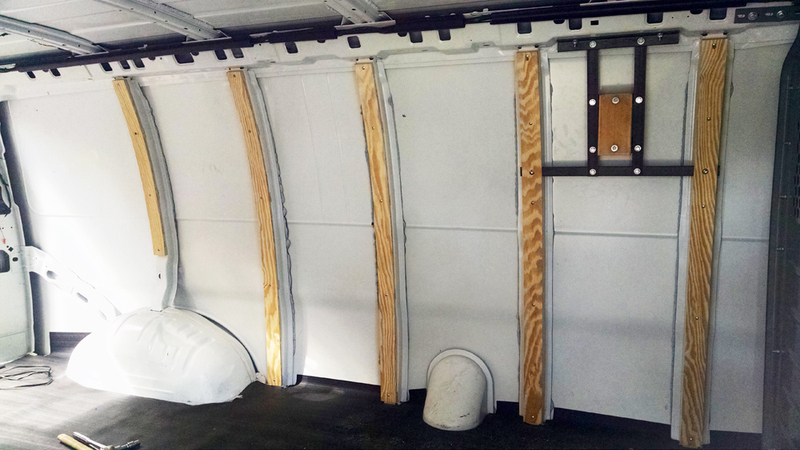 The course can be used for any van, but Lukeman’s 2014 Chevy Express 2500 was a nice base for his own project. 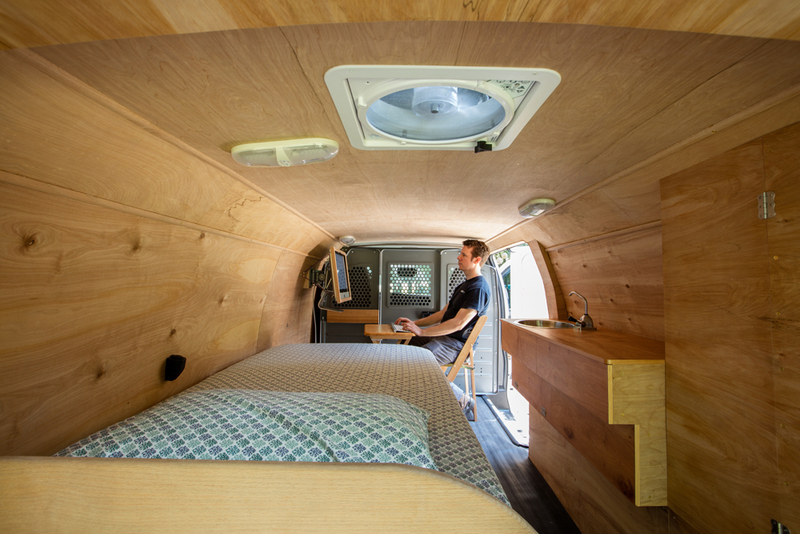 The nearly 19-foot long van has a twin bed and an office with a wall-mounted computer and monitor. 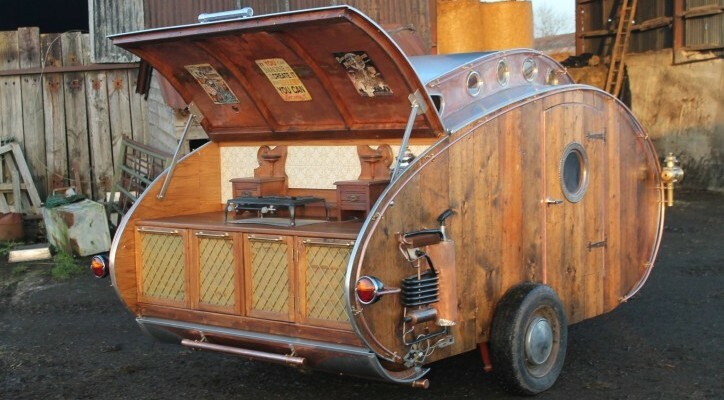 In addition, the van has freshwater tanks, a sink, and a cooktop. 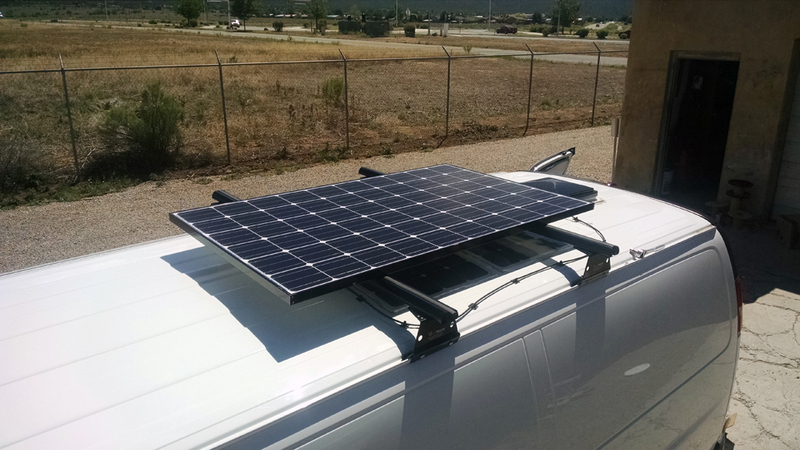 The roof has 200 watts of solar panels connected to a 300 watt inverter. The Chevy Van was once owned by a rental company. 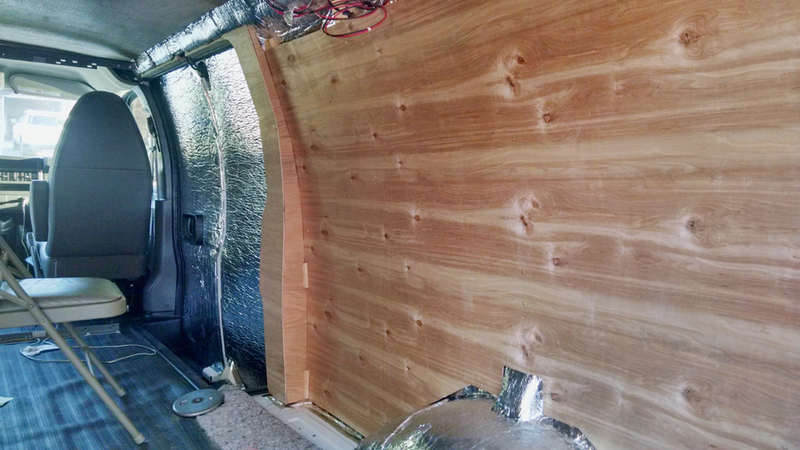 Lukeman stripped the inside and added insulation and wood paneling. The wall-mounted computer monitor is a main focus of Lukeman’s interior. The electrical components are tucked neatly behind the bed. Lukeman’s van does not have a shower (he uses the showers at 24-Hour Fitness), but he does store a camping toilet under the bed. 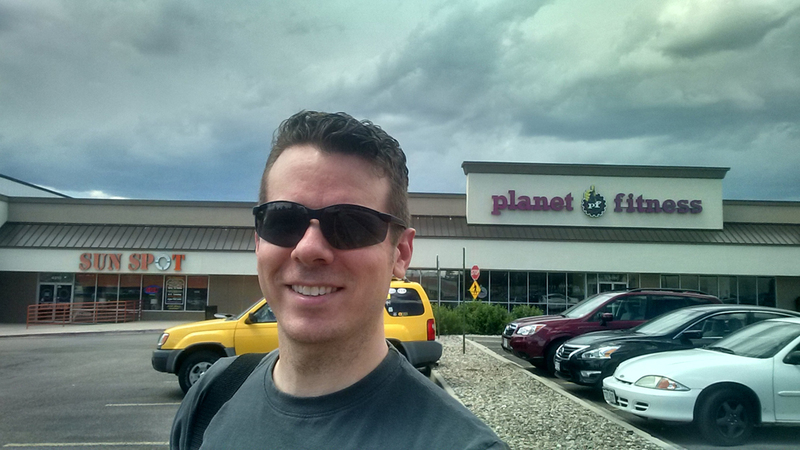 Lukeman uses his Planet Fitness pass for workouts and showers. 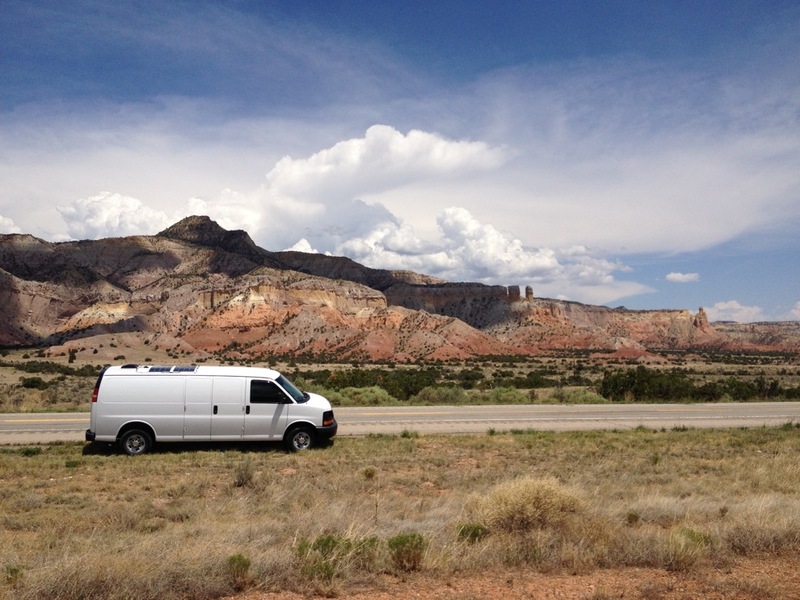 Both Lukeman and the van have been exploring the American Southwest. Over the summer he traveled around Texas, the Midwest, and New Mexico, and enjoys being a “local” in a new town for a few days. “When you live in a van, you know you are living life. You are seeing new places, you are getting out of your comfort zone, you are seeing life from a different perspective. I don’t try to be “happy” all the time, as there are frustrating moments, but oftentimes a sublime moment will land on you out of nowhere. Lukeman runs the Cargo Van Conversion Course from the road. 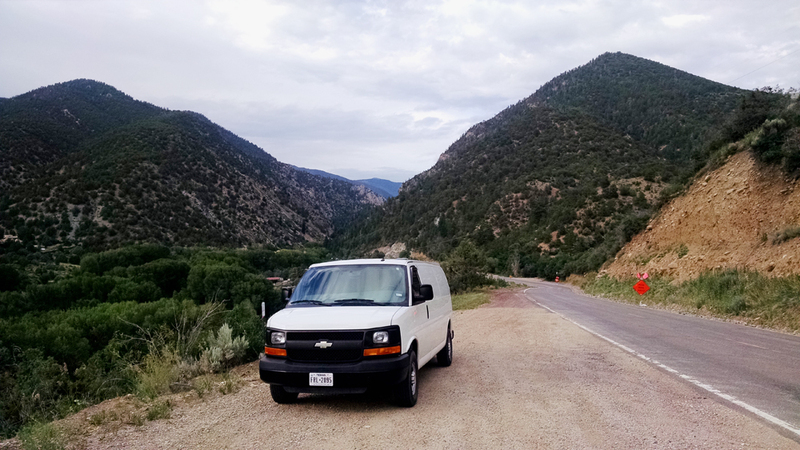 Lukeman says that there are sides of van life that can be frustrating, such as having to constantly keep things organized, having to get rid of the smallest extra items to save space, and having to do occasional repairs on the road. However, he does have some fun finding new places to spend the night. 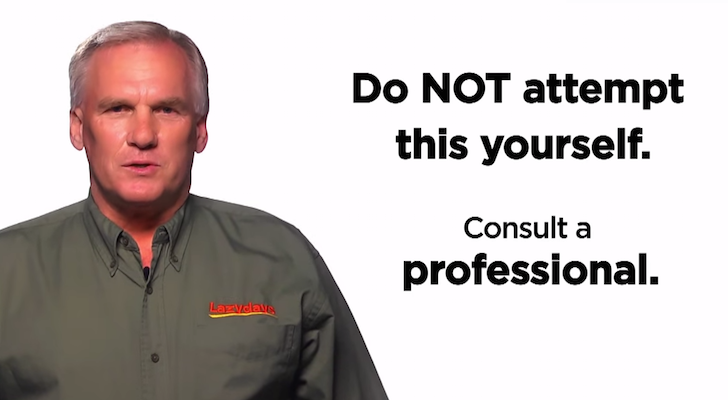 Lukeman recommends not skimping on power systems if you are running a business from the road. 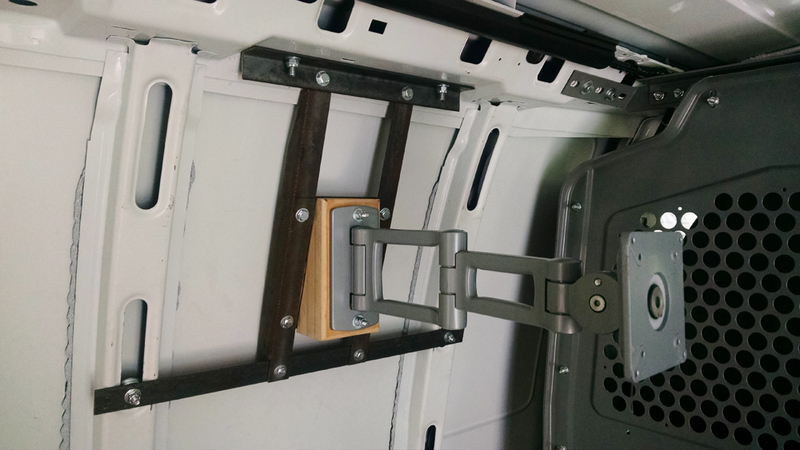 He does recommend that it pays to have a well-equipped van completed before hitting the road for a long-term trip. The van, originally owned by a rental company, cost $22,500 new. 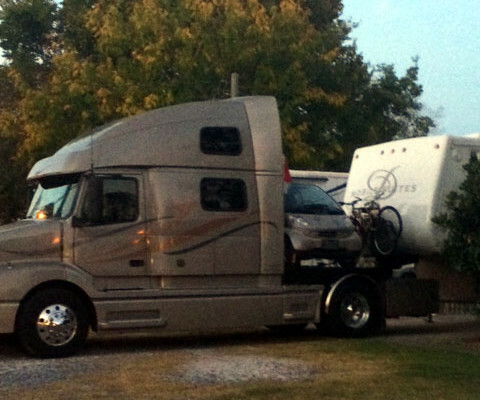 Ross spent another $3,600 converting the van into his home on the road. 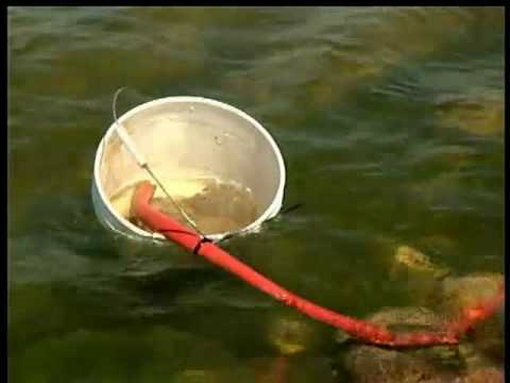 He also recommends not skimping on the van’s systems, especially if you will be full-timing in the van or running a business from the road. 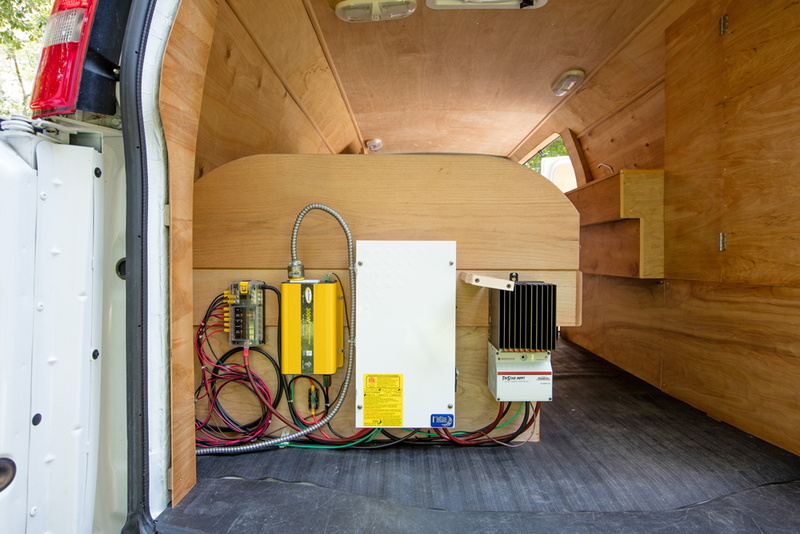 At a minimum, the van should have power (12-volt and 110 or 220 outlets), water, ventilation, and insulation. 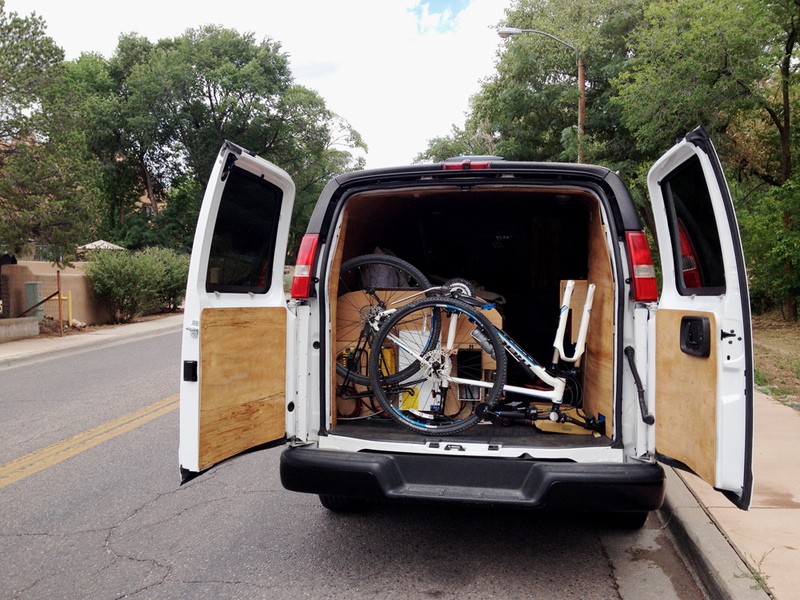 Even with a full living area, Lukeman is still able to fit his bike in the van. 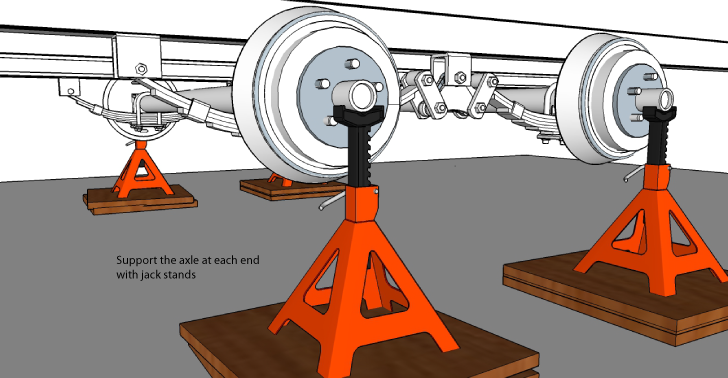 The Cargo Van Conversion Course is available online for anyone who wants to learn how to create their own mobile home. 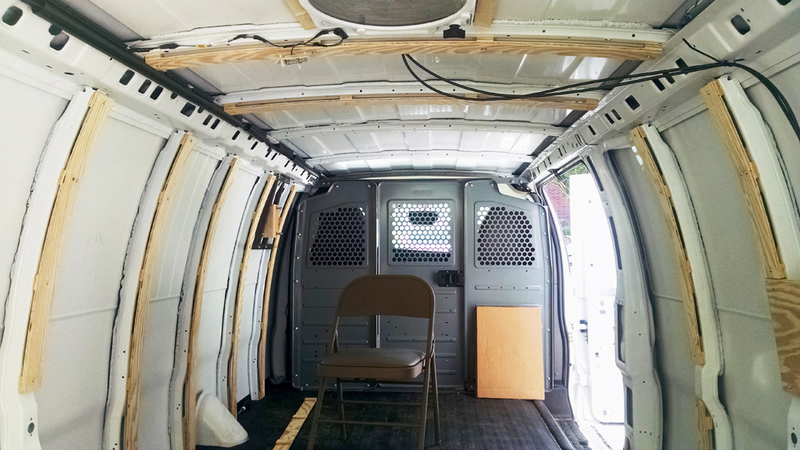 The Cargo Van Conversion Course includes over 12 chapters of high-definition, professionally shot videos showing his complete step-by-step conversion. Registered students can go at their own pace, and live calls and a Facebook group are also available. 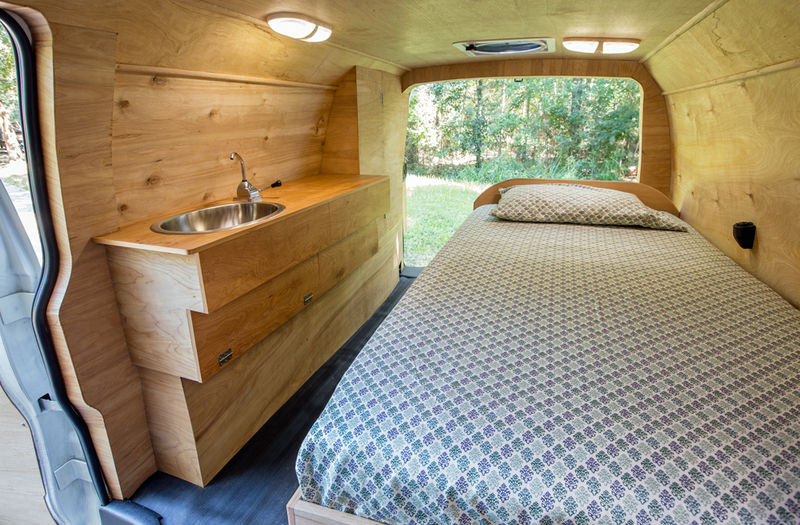 For a head start, grab a copy of the Van Conversion Cheat Sheet from his website.